We all know how frustrating breakouts are. No matter how different DIY home remedy treatments you try off Pinterest, it just won’t stop these tiny hills from appearing on your face. Let’s not forget the oiliness which comes with it. We teamed up with a group of dermatologists and beauty experts with a mission to find the best foundation for acne prone skin. The last thing you feel you should do is to layer your face with make-up or potentially harmful skin care products. So we’ll just leave our face clean and clear and wait for the redness, blemishes, and scarring to fade away. Yeah right! We can’t be expected to stay indoors all day, we’ve got jobs to do, coffee dates, catch ups and new clubs to get to. Don’t let these breakouts keep you indoors and away from living your best life any longer. We have searched far and wide and we have found the Top 10 best foundations for acne prone skin. In no particular order here is the list below of the best foundations for your acne prone skin. There are so many products available which make choosing the right foundation for your acne prone skin hard. We have gathered a group of beauty experts and dermatologists which created an extensive review of the best foundations for acne prone skin available on the market today. Our hope is that with this reviews and buying guide you are able to select the perfect foundation so you can be confident again with your skin. The Oxygenetix Acne Control came about when plastic surgeons, dermatologists, and various other aesthetic trades needed a solution for their acne-prone patients. 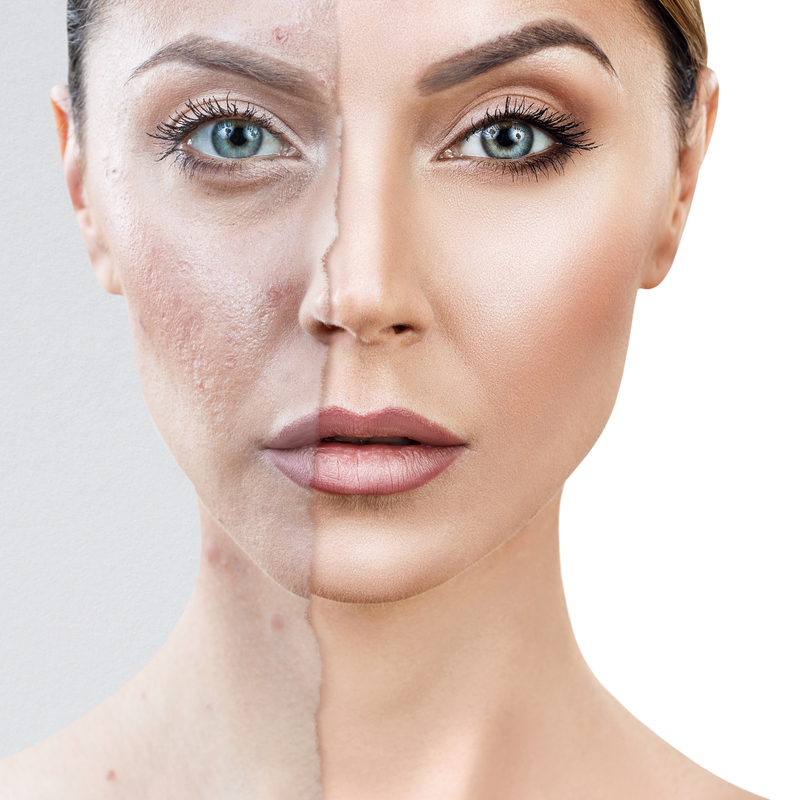 We know acne can not only make you feel terrible when inflamed but it also tends to leave terrible scaring, no matter what preventative measures you take. They have created this foundation in order to cover and treat acne simultaneously. 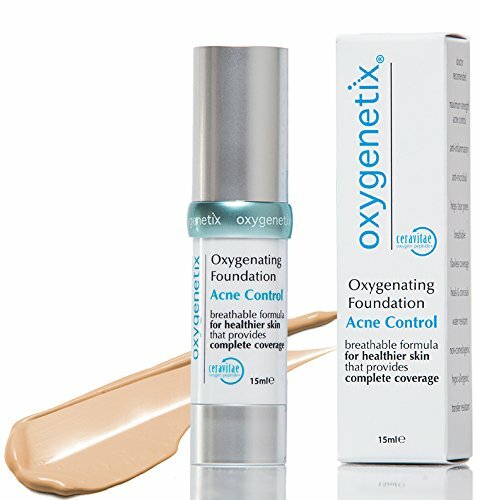 With its super breathable formula this the Oxygenetix Acne Oxygenating Foundation is perfect to tackle those breakout problem areas and provide an overall healthy look. This product offers great coverage while feeling light on your skin. It is also water resistant, hypoallergenic as well as transfer resistant. This product has a higher percentage of salicylic acid than most acne treatment foundations which means it should be used only if you are in need of serious acne treatment. The salicylic acid controls and balances the oil in your skin while inactive ingredients have anti-inflammatory and anti-microbial properties. This product works by attracting oxygen to your skin in order to encourage your damaged cells to regenerate. All while protecting your skin from bacteria and other free radicals we can’t control. One thing it does not protect your skin from is the sun. Unfortunately, this product does not have any SPF so it is good to pair with a light SPF 15 which won’t block your pores. This is top of the range when it comes to foundations for acne treatment and the price shows it. Although the price is higher than other foundations remember that this product conceals, treats and heals all in one. Amazonian clay, hold the phone, this sounds like a something passed down by an Amazonian goddess and I want a part of it. This foundation is something out of a jungle paradise. With its elegant and natural look packaging (note the wooden cap) it gives you a true feeling of health, but real natural health, the good stuff. This product is made for the ethical diva, who loves a natural looking finish but needs that all day coverage. If you like to keep your beauty routine clean and natural, then the Amazonian Clay Foundation is for you. Side note it’s also vegan! The Amazonian Clay is a white clay collected from the mouth of the Amazon River, the lifecycle of the clay enables it to compile a number of great minerals, which provide your skin with calcium, iron potassium and sulfur which aids in fighting acne. Thanks to Tarte Cosmetics we know this product is free of parabens, phthalates, triclosan, and sodium lauryl sulfate. As are all their products. 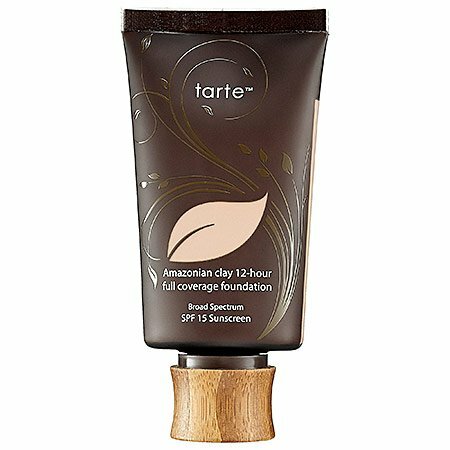 The Amazonian Clay Foundation gives your skin a more natural matte sheer look which lasts for 12 hours. Without any of the added chemical elements, this product is able to naturally neutralize the skin using only the healing properties of the clay. When applied it prevents dryness, flakes, and redness while removing excess oil from the surface of your skin. Fantastic really! Don’t forget that glorious UVA/UVB SPF 15 protection it has too! The reason why it works so well for ace prone skin is that it is oil-free and does not work as a heavy foundation over the skin, yet still provides great cover. This product has a mid-range price, not bad considering where the ingredients come from. The name speaks for itself, Giorgio Armani Foundation is a luxury foundation for sure. Not only does it make your skin look great, but it also looks pretty good in your make-up bag too. The Armani Power Fabric Foundation is a weightless yet full coverage foundation with an SPF 25 protection. This foundation truly gives you that second skin feel. An Allure Beauty Product winner and a product praised and used by runway make-up artists and fashion bloggers far and wide. It certainly caters to the fashionista in us all. With its microparticle technology, it is able to give you maximum coverage while keeping a light feel. Not only does the microparticle technology ensure a smooth light finish but it makes sure a little goes a long way. Perfectly formulated for oily, sensitive and combination skin this product has been known not to let beauty buyers down. There is no secret as to why, but their luxury formulae will not cause breakouts and as mentioned before has a light breathable finish. It gives a beautiful satin look to the skin. Please note that this product is not a treatment foundation but has been known as one of the best foundations to use for acne prone skin. Huge thumbs up to the product, our only small drawback is the price, but it does last significantly longer than some other foundations. You can find the Giorgio Armani Power Fabric Longwear Foundation for a higher price than some of the others but we know a good brand comes with a good price. The Clinique is another great treatment foundation, which is made specifically for the treatment of blemishes, acne, and redness. This oil-free foundation leaves you with a fresh looking face, providing excellent cover while treating your problem areas. The Clinique Acne Solutions range is safe to use when you have an inflamed breakout, due to the medicated properties within the foundation. It treats your current breakout as well as prevents them from returning in the future. If you have recurring breakouts from your foundation then this is a great product for you. Not only is this product great but Clinique offers a range of Acne Solutions make-up and skin care products, which are perfect to use in conjunction with this product. It’s such a relief to know we can now wear make-up and avoid suffocating our precious skin at the same time. The salicylic acid in the product controls the oil balance in your skin, in turn, this is treating and healing your breakouts. By always wearing a product which is keeping that oil balance stable you prevent further breakouts as your face is freshly cleansed all day. Clinique is available internationally and has a great brand. 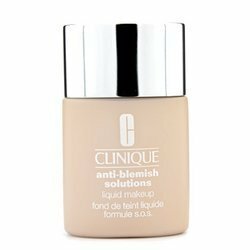 You can find the Clinique Acne Solutions Liquid Makeup at a mid-range price point. For this great brand, we find it very reasonable. E.L.F is one of the newer beauty brands, only founded in 2004 they have really made a fabulous name for themselves since. With the aim of producing luxury beauty products which everyone could afford E.L.F is now a firm favorite among beauty buyers. This acne fighting foundation from E.L.F is brilliant as not only does it contain the oil balancing salicylic acid, but it also contains excellent healing properties from tea tree, aloe and witch hazel, some of our favorite words after avocado of course. Use this product if you suffer from monthly hormonal breakouts, oily skin, blemishes or acne scarring. It is perfect as an acne and blemish treatment as well as offering brilliant coverage. 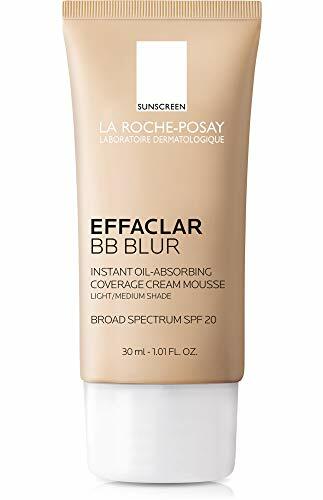 Not to mention in true E.L.F fashion the amazing price of this beauty buy, you can get coverage and treatment with this product on any budget ($6). The salicylic acid acts as an oil balancer while the tea tree works like a benzoyl peroxide clearing the acne, then we have the aloe which has brilliant healing properties for dark spots and other signs of aging. Witch hazel is also a brilliant soothing remedy for redness and blemishes. With this combination, you have your dream team in a bottle. Oh, and did we mention they are cruelty-free! It is very seldom you get just a good price with all the benefits. Give the Big Mac a miss and grab this foundation from E.L.F, because their affordable prices are just too good to pass up. This feels like such a safe bet, knowing Neutrogena’s reputation for being a leader in the skincare industry you feel like this product works by just looking at it. This particular foundation is a skin clearing foundation which does not clog pores and is made for hypersensitive skin. This product contains the expected active ingredient of salicylic acid, but it also provides us with an array of ingredients we know our skin loves, such as aloe, chamomile, and vitamin A, E and C. Another brilliant combination of great healing and treatment properties. Use this if you suffer from redness, blemishes, acne breakouts, large pores, and even fine lines. This is also not badly priced and similarly to Clinique, Neutrogena offers a full range of skin treatment make- up which is always nice if you’re a brand loyal buyer. Neutrogena prides themselves on their Microclear technology which is said to be the only blemish treating technology, which I struggle to believe, as we have seen some great examples of treatment products above. Either way, we know Neutrogena is a great brand for skin care. This foundation works by dissolving excess oil from the skin and acting fast on clearing up your problem areas. What is great that it will also freshen up the skin due to Vitamin A, E, and C in the product. We back this foundation as it ticks all the acne treatment and covers up boxes as well as being affordable too. The Neutrogena Skin Clearing Foundation is surprisingly in a lower level price range. We love affordable beauty from trusted brands. The Surrat Surreal Foundation Wand is a bit of a different product as it is not a liquid foundation like the above products, but rather a foundation wand. Who doesn’t love a nifty wand or compact size container? Let the magic happen, right? The foundation wand comes with the 3 in 1 foundation formulae situated within the soft antibacterial brush of the wand. The 3in1 formulae boast a primer, foundation and setting powder all packed into this compact wand. This product is oil free and it easy to apply to leave a beautiful light, smooth finish. There is no mention of this product being specific for acne prone skin, but due to its light wear, convenient all in one formula, and nifty wand packaging it is worth a try. This is a great product to have in your purse for bathroom break touch-ups. It is perfect to use for touch-ups on acne prone skin is because it is oil free as well as free of phthalates, parabens, and sulfates, which inflame and irritate the skin. The 3 in 1 primer, foundation and setting powder formulae is placed in the center of the soft anti-bacterial brush at the top of the wand. Glide this gently over your areas in need of touch up, this wand will perfectly blend and cover with your regular acne fighting foundation used. It comes at quite a high price but if you are only using it in the emergency touch up cases then it’s worth it. Another great thing about this product is the packaging is recyclable, we all love ethical beauty. The La Roche-Posay is an oil-free BB cream which is in a mousse form. Being a BB cream it naturally does not provide as much coverage as the above foundations. In case you are wondering a BB cream is more on the side of a tinted foundation which provides light coverage for your face when or if you do not want to be too made up or ‘caked’ on. BB creams are great for everyday casual use, even better this particular one comes with a broad spectrum SPF 20 protection, making it ideal for daily moisture, little cover, and protection. You would use this if you want to cover up small irregularities on your skin or tone differences. This is not the best for covering acne prone skin as it is not meant to have heavy coverage. It is a good use for small post acne or laser scaring if you feel you want a little bit of cover, but not the heaviness which comes with many foundations. As most La Roche-Posay products this is a dermatologist’s favorite as it is free of parabens and fragrance (that terrible blanket term for bad things). So it is a good BB option to use on acne prone skin as it is not harmful and it has brilliant SPF protection. As mentioned before it is a lighter cover product so this can be used in conjunction with one of the fuller coverage foundations above or as a lighter, around the housing cover. As far as a BB cream goes it is a suitable gentle option for sensitive skin. As a product for daily use it is a bit steeper than many BB creams but be aware of what is in those other cheaper products as they may be cheaper but they also may be harmful. The bareMinerals Blemish Remedy is a powdered foundation. I always find the powder vs liquid options a completely personal choice, and it is down to what works best for you. A powder foundation certainly has a different feel and effect on your skin and has often been described as lighter to wear than a liquid. 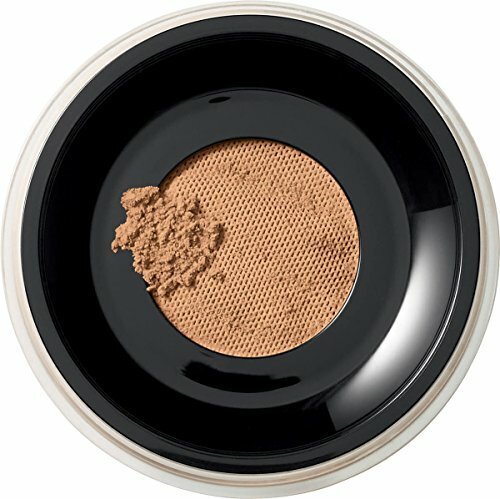 This powder foundation is a terrific option, not only is it the best powder foundation for acne prone skin but also a great choice if you want to keep your skin looking and feeling healthy. Use this if you are on the side of the powder foundations, this product is great for an all over smooth cover to reduce blemishes as well as eliminate redness. The powder is made up of a great combination of minerals which are brilliant for maintaining the health of your skin. It includes Aspen bark, tea tree oil, and our all-time favorite anti-aging aloe. The Aspen bark and tea tree act as the repair and protect team where the aloe is the hydrating part of the party ensuring your skin looks younger and fresher with every wear. You can find the bareMinerals Blemish Remedy at a mid-level price, which is not bad at all for a powder foundation. NYX is a great value for money brand which offers a fab range of products. Here we have the Total Control Drop Foundation. The drop is referring to the packaging, the top of the foundation is fitted with a dropper making the application of this liquid foundation specific and you avoid waste. With the dropper, you can go from a light sheer looking cover to a fuller cover, as it is great to build your cover with the dropper. You would use this foundation to customize your coverage on different parts of your face. 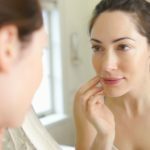 For example, if you have breakouts, on the ever-reliable hormonal chin area, then you can use the dropper to build more coverage in that area compared to areas where your skin is clearer. The dropper eliminates waste, making the product last longer and allowing you to fully customize your coverage. This is little dropper is super neat as you do not need to pour out a large amount which you end up wasting. Great product, but in no way is it the best for acne prone skin as it does not hold any of the healing or treatment properties of the ones listed above. It is good for specific area application though. 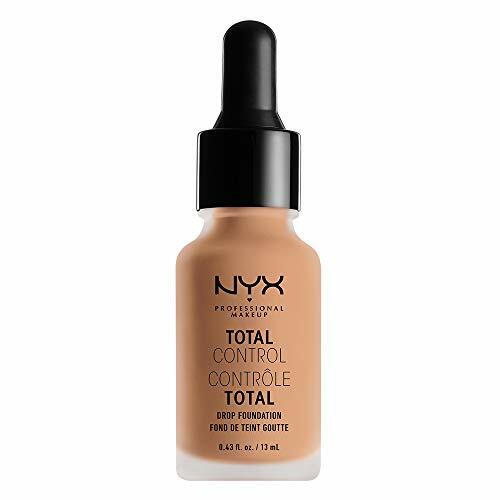 You can find the NYX Drop Control in the more affordable beauty section, and NYX is a brand which is stocked worldwide. Choosing the best product for your particular skin type and color can sometimes be tricky, we hope that our list has helped remove some of that uncertainty. Lot’s of our happy readers seem to have very good results with cleansing their skin with a special salicylic acid face wash. Some tips to avoid getting a product which does not work for you are to always check your tone in store before buying online, read as many reviews as possible and don’t forget about your favorite beauty bloggers and vloggers, where you can see a first-hand honest view of how products work. We hope you have enjoyed this article as much as we did putting it together. Want to stay up to date with make-up trends and beauty tips, then be sure to subscribe to our newsletter and you’ll never miss a great beauty find again.